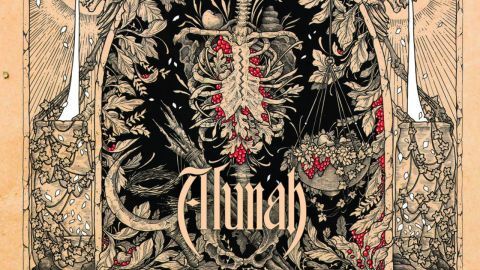 Hailing from Black Sabbath country, Alunah are cementing the fact that nowhere does doom like the West Midlands. Those dark and dingy landscapes have given birth to a procession of folk-fuelled, psychedelic wails, and while this quartet owe a lot tooldschool doom – with some of the riffs in Lugh’s Assembly sounding like they’ve been plucked from a Cathedral b-side – their added touch of feminine sorcery and raw, blurry guitar distortion has seen them carve a niche all of their own. Solennial plays like a melodic sermon at a heathen mass: an ode to nature and the cycle of death and rebirth from a decidedly pagan point of view. Sophie Day’s melancholically supernatural vocals have more in common with folk than metal, but her soft yet brawny echoes resonate over bursts between dreamily acidic and hefty, fuzz-fuelled guitar chords, “invoking the spirit of the goddess” to create what can only be described as eerily ethereal doom. Solennial raises the esoteric energy of Alunah’s previous albums, but it carries its own weight with newfound verve.